After losing three out of four, the Celtics got back to their winning ways Wednesday night at TD Garden as they managed to beat the defending champion and current first-place Cavaliers. 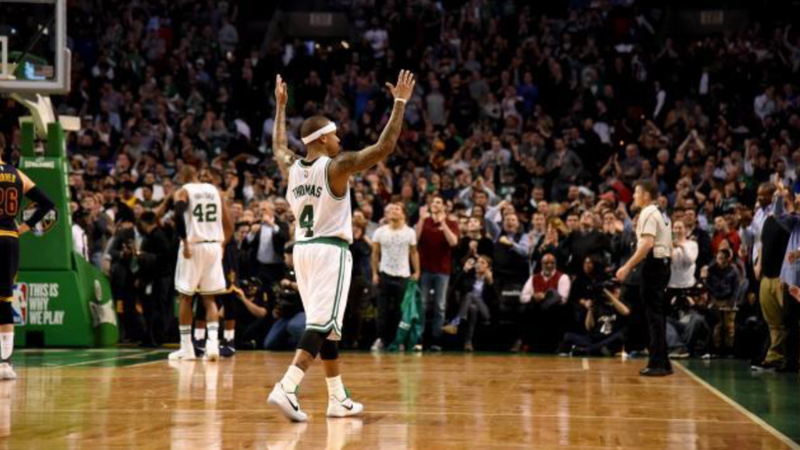 Coming at a time when the Celtics were starting to lose hold of the two-seed in the East, this was undoubtedly their biggest win of the year. LeBron James and Kyrie Irving combined for 56 points, but the Celtics were able to force them into some bad shots down the stretch in the fourth quarter. Crowder also had solid game, finishing with a double-double. 17 points and 10 boards. Al Horford only had 9 points, but just missed a triple-double with 10 rebounds and 10 assists. Despite recently losing three out of four, the Celtics are now 13-4 in their last 17 games and 26-10 in their last 36 after starting the season 13-12. They’re now three games behind Cleveland for the lead in the East. The C’s will take on the Lakers in LA on Friday night. Tip-off is at 10 pm ET.